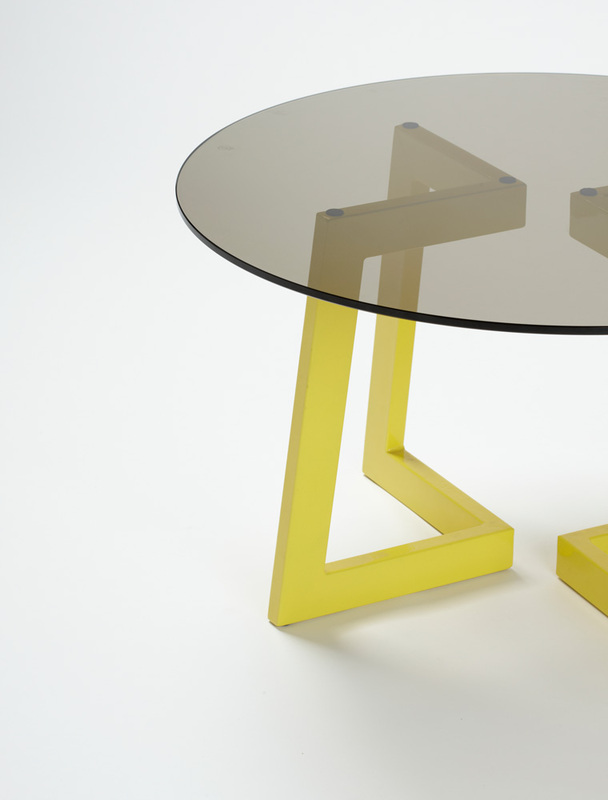 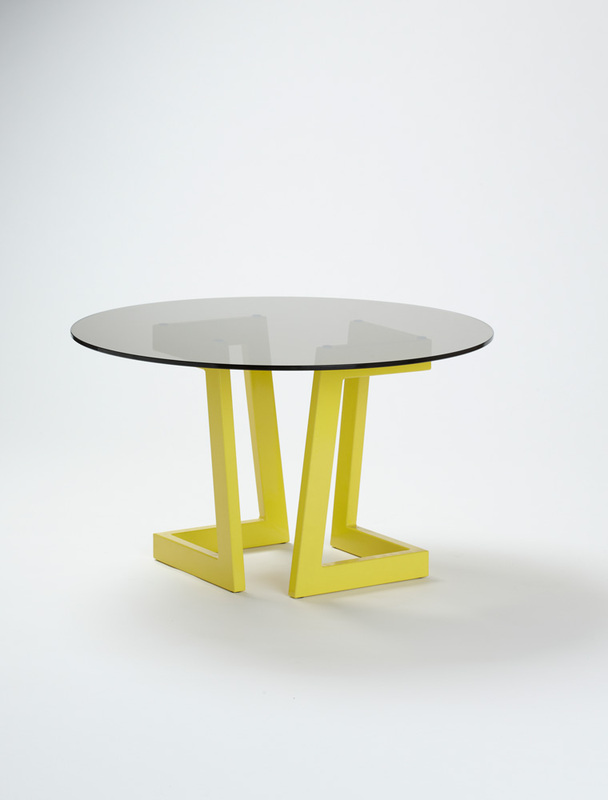 A subtle black tinted glass top creates an eye-catching contrast to the yellow leg structure. 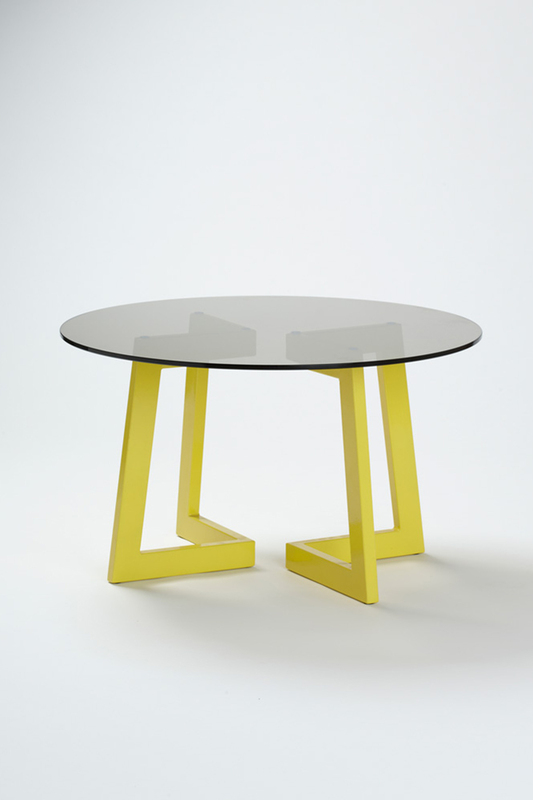 The epoxy coated leg structure can be configured in multitude of various ways, allowing the user to become apart of the final design and configuration. 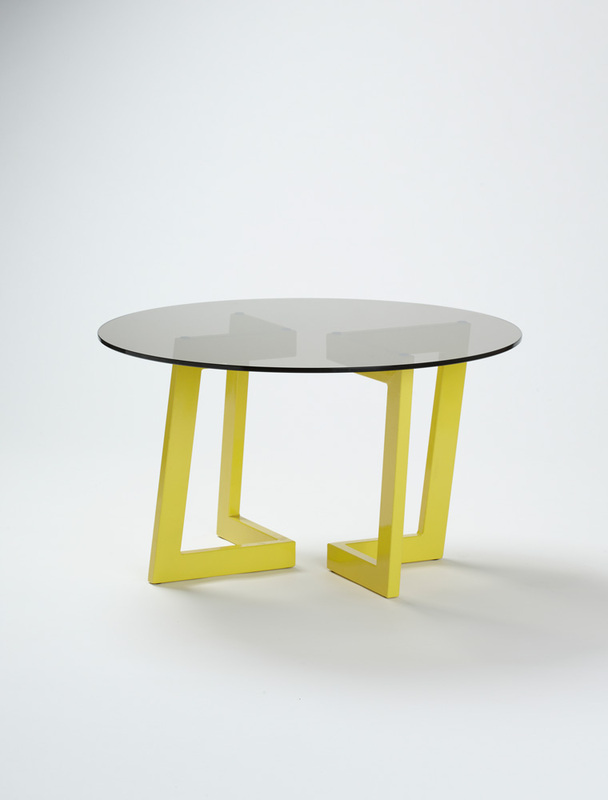 Epoxy colours: White, Black, Grey, Blue,?Red & Yellow. 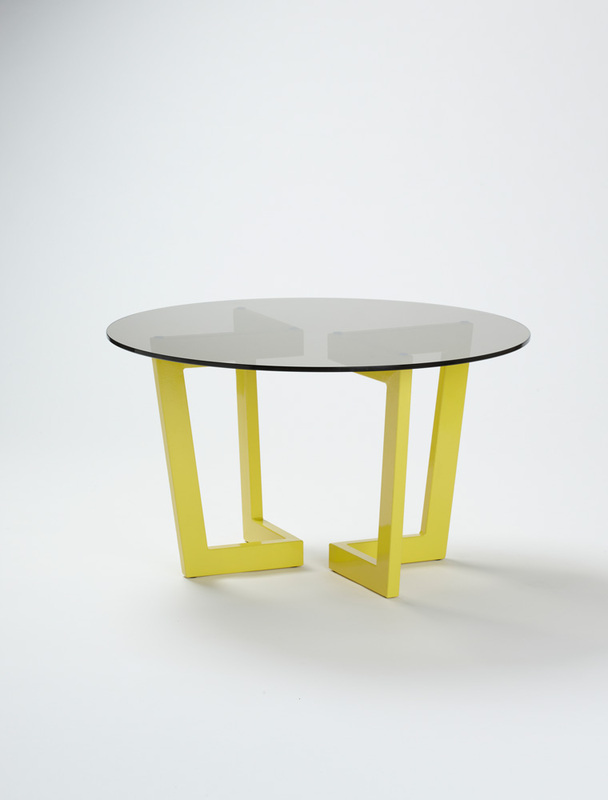 Notify me when Glass Top Rest Coffee Table is available.